The flower market is one of the oldest industries. Everyone has loved various types of flowers and now come together at flower markets in New York City and other cities around the globe. If you are also passionate about flowers, you should consider joining the flower market too. Kabloom flowers is the leading floral retailer in US. It operates in an industry which is unique while showing considerable growth potential too for those considering buying small business. For entrepreneurs looking to start something new, Kabloom has franchise opportunities to turn love of flowers into a successful business. Before you buy a Kabloom franchise, the industry information will help you assess the franchise investment. The floral retail industry is currently a stable business with predictions to grow in the next couple of years. The industry is particularly exciting because of its low start-up costs and little to zero licensing requirements. Additionally, the increasing amount of disposable income among consumers benefit the lower industry, creating more demand for discretionary products. However, the industry is highly fragmented at the moment, consisting of small to medium-sales stores which cater to the local community. Clearly, there is opportunity in the industry for a well-known brand to capture the market and compete on a large scale. Next, any flower retail franchise comes with some risks. From long hours and unpredictable client demands to regular maintenance or operations, your business can run out of control quickly. To lower your risks, franchising can be a very lucrative option that helps you run the business and maintain quality services for your consumers. Kabloom Flowers is one of the most popular flower franchise businesses for a few reasons. First, they are arguably one of the biggest flower retail brands in the flower industry, decreasing worry about an informed customer base. They employ state-of-the art techniques to ensure the freshest and quickest flower delivery service to almost any part of the world. Additionally, Kabloom offers you an almost recession-resistant business model with special deals and promotions. These are just a few of the reasons franchise owners like Kabloom Flowers. Kabloom, as the franchise company, offers you with complete support for your business. They help with everything including site selection, store design, ongoing advertising and marketing co-ops. Secondly, the company is proud of their buying power compared to traditional florists, securing franchise owners better supplier pricing in the flower market. Most importantly, Kabloom provides extensive training to set you up for a successful business. With a partner like Kabloom, this could be a fast blooming business idea for you. Last, but not least, a Kabloom franchise costs $166K- $266K dollars. Considering the industry, franchise track record and support, savvy entrepreneurs might be interested in making the investment. Of course, those who enter the flower market earlier will have a choice for better locations and more profitable markets. In addition, women that opt to open these floral franchises can also get a women business enterprise certification that can double their gains. Opening your own flower market business is also another idea to consider. Flower business opportunities are always present for those that have the skills this field demands. Of course, you will need to determine what kind of flower business you would like to open. 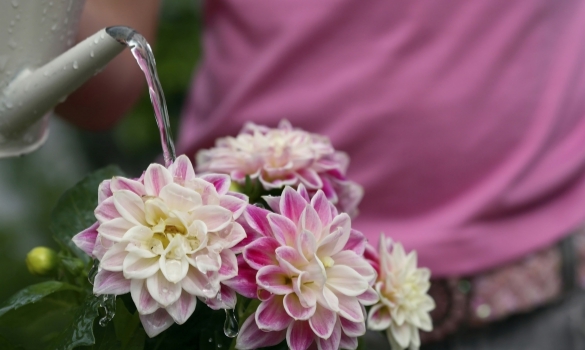 You can opt to become a flower grower business. Or, if you have less hydroponics farming experience, you can open a florist shop. There are many different business opportunities present in the flower market. Be sure to consider all your opportunities before deciding whether a flower franchise is the best decision for you.